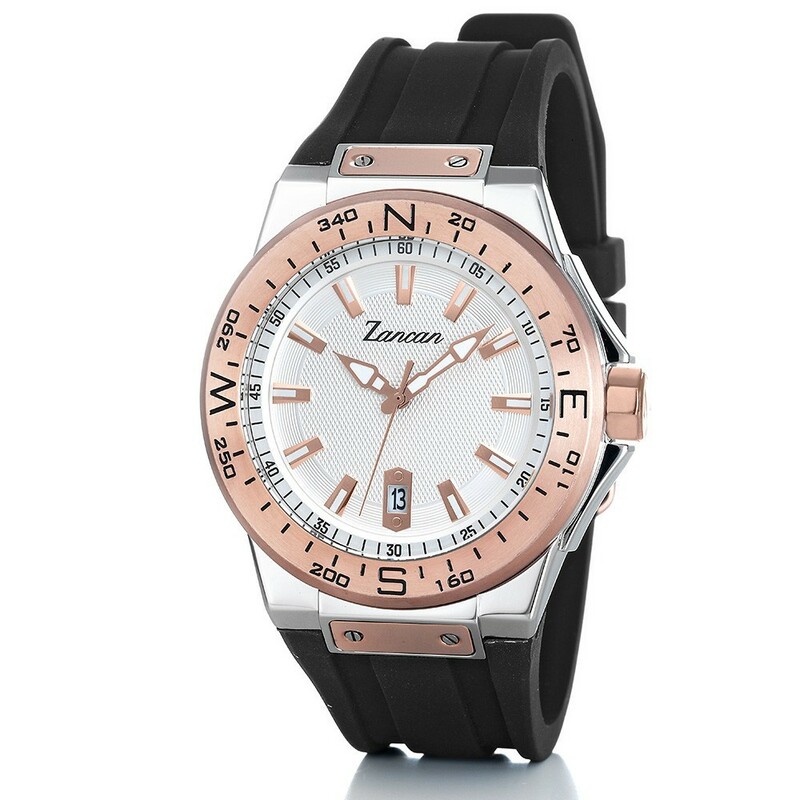 Stainless Steel case with black silicone watch strap. Rotating compass bezel tracking degrees and cardinal points. Steinless Steel dial with luminous markers. Black and rose gold PVD details. Watch comes with original Zancan jewel case. Guaranteed return within 15 days. Shipped in Italy with GLS and worldwide with DHL. 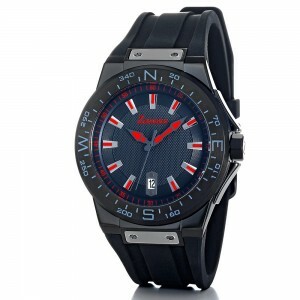 Kompasstempo – Men’s watch with calendar.